Welcome in Restaurant and hotel Slávie! We invite you in the popular summer resort Potštejn, in the beautiful region in the foot-hills of the mountains Orlické hory in Eastern Bohemia. We offer you a stay in our family hotel. Let´s come and taste our traditional Czech dishes and specialties! 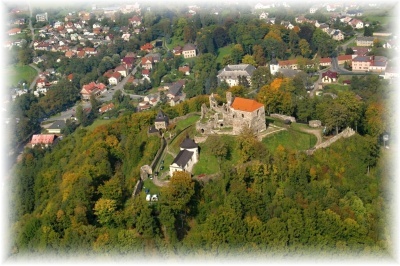 Slavie is located in the city, under the famous ruins of the castle Potstejn. The accommodation is possible in 10 rooms of 2-4 beds. Parking is private - directly in the front of the hotel. Our restaurant has a permanent dinning and beverage menu. The capacity of the restaurant and the hotel´s hall is about 250 seats. Friday and Saturday until 24 hours. Saturday and Sunday 11 - 21 hours.